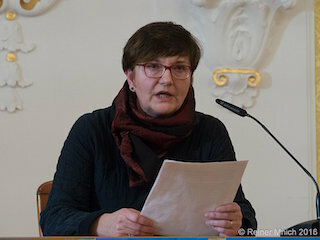 Marion Skepenat is a German writer. In 2010 she published Nicht Anfassen and Zeit im Zenit as well as other many publishing in the literary journal Risse. In 2016 Marion was nominated for the literary award Mecklenburg-Vorpommern and won the second audience award. During her residency at MoKS she started working on a new novel, which is based on a true story. In 1966 two seven-year-old girls killed a three-year-old girl. The case has been kept secret on political grounds. The story is told in present time from the perspective of one of the perpetrators. Her stay at MoKS takes place in the frame of Künstlerhaus Lukas- MoKS exchange programme. Residency is supported by the ministry of education and cultural affairs Mecklenburg-Vorpommern, Germany.